HALO Life-Size Human Silhouette Reactive Shooting Targets - 12.5"x19"
HALO technology gives BIGGER BURSTS than competing reactive brands! Are you looking for a self-defense training target that provides instant ultra clear shot placement feedback? Look no further than Thompson Target! With premium high contrast reactive splatter targets that give you clear marking of every shot, your hits are now easily visible even at long range. Get more from your range time with Thompson Target's line of HALO reactive splatter targets with more pronounced bursts than comparable brands. How do we acheive a bigger burst? HALO™ Targets are printed on a special high quality thicker card stock and higher density inks. When hit the black and red areas instantly burst around the bullet hole revealing a big bright white halo. Stop wasting your valuable range time retrieving targets to check your shot locations. 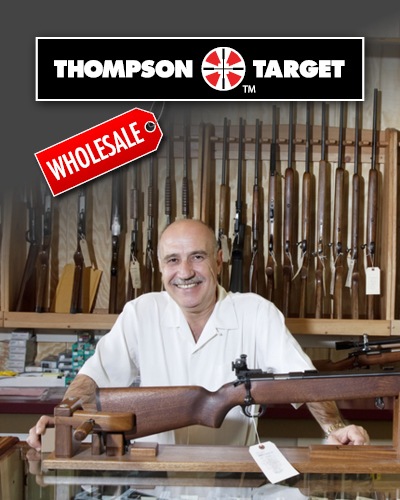 Choose Thompson HALO targets when you're shooting for the best! This target is great. I just send it out to the end of the range (45'), and even when I shoot small caliber I can easily see where the target is hit. Also, the price is very reasonable. Highly recommend. Great visibility of shots, allowing for a quick correction! shows shot location instantly! would recommend and have done this. Such a work of art! I almost did not want to shoot at it! Thanks, keep up the quality work!! Very easy to see your hits on this target if you hit the target that is! The targets came in perfect condition and were shipped quick. I would definitely recommend.